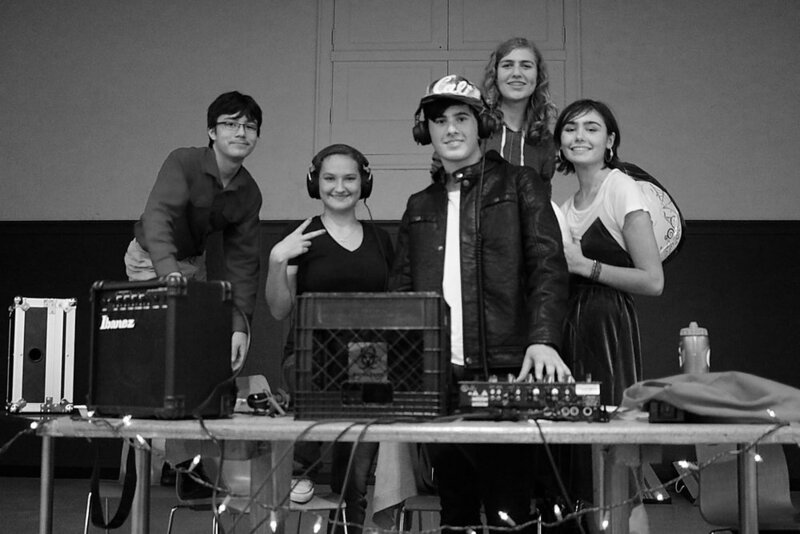 It was just another Wednesday assembly when Brian mentioned the opportunity to be a DJ for our school’s first dance. My first reaction was “cool, that’s something I’d be interested in doing.” However, when Brian explained the time commitment, I worried that it would conflict with my extracurricular activities. We were to meet after school a few times before the dance to work out how to use the equipment that we were so graciously allowed to borrow. A team of six students—including myself—tackled the challenge, regardless of the conflicts. In addition to learning how to run the Serato DJ software, we all had to make playlists, which is one of the hardest things that a DJ has to (gets to) do. We try and find songs with similar beats-per-minute and key, just to make transitions from one song to the next pleasing to the ear. On top of this, we have to improvise and change songs on the spot if technical difficulties arise, or if people just aren’t feeling it. I personally spent over five hours making assorted playlists just so that we could be prepared for whatever problems arose, but me being me, I listen to music probably six hours everyday. This made it a lot easier to find songs because I already knew their style. After a few weeks of practicing, we finally got to put our skills to the test. We set up the system without a problem and made a schedule as to who was lead DJ at particular times. When the dance started we were ready to have some fun. The dance was a little slow at first, and getting people to dance was more difficult than we had thought. Eventually, after much coaxing from the DJ team and a few classic songs no one in their right mind could refuse to dance to, we got people groove and have a good time. It was a lot of fun throughout the whole process, and the end result went better then we had hoped. There were almost no technical difficulties, and people were enjoying themselves. The skills that our team has acquired are some that we will hopefully use many times in the future. Maybe we can even train new DJs in the coming years so that when we graduate, the DJs will have a strong presence and be able to bring some fun to the dances to come. This experience is just one of many unique things that we as students of The Downtown School have been able to do. In my past schools, we have always brought in people to DJ, and students never really had the chance to do this unless they specifically went out and looked for it. One of the many cool things about The Downtown School is that experiences come to us. And thanks to Jill M., the DJ who trained us, this unusual but fun thing is now a part of who we are as a school and who I am, as me.